Oh gee, what a pleasant find. That’s a fair size butterfly too. 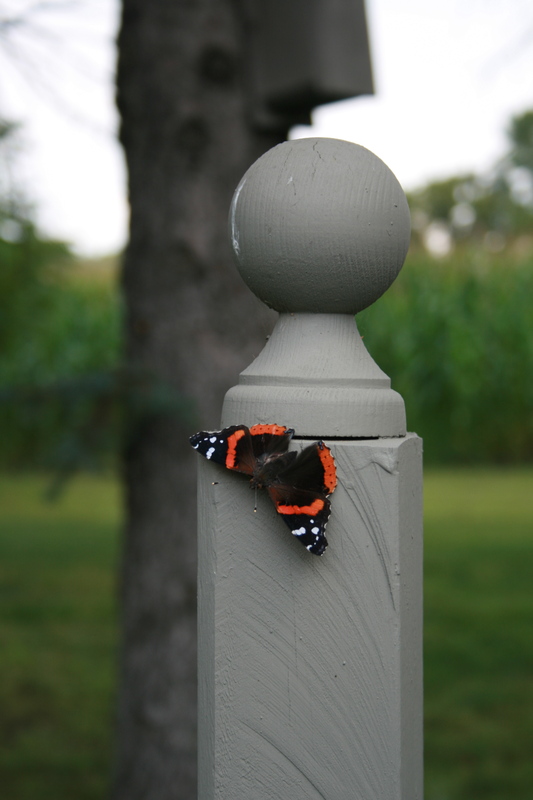 Do you think it might be a Red Admiral? Apparently they are rare.